I have been meaning to write more about our phone free classroom for a while. It’s been more than month now. I have been meaning to update, and yet, it keeps slipping my mind. Not because I am busy. Not because there are so many other things to do, even though there is. More because quite simply put, there isn’t much to say. The protests and indignation I was worried would build over this rule haven’t come. The anger or the sneakiness I wondered about hasn’t happened. The letters to the principals, the “how dare you” statements never uttered. Are some kids annoyed? Probably. Are some kids leaving them in their pockets? Probably. Are some kids hoping to go back to the old way? Probably. But are they mad? Outraged? Feeling like their rights as a learner somehow having been violated – nope. In fact, every day we have our routine down. Most kids leave their phone in their locker. Some in the bin in our classroom. After the bell, I give a final reminder which inevitably leads to a few more phones in the bin and then we are off. Focused as much as we can be in May in 7th grade on the learning that is happening. Yet, what I have noticed has been small. A few changes here and there; more face to face conversation within our classroom walls. Less tense faces. More presence. Less worry. It turns out that we didn’t need more cloud for more engagement, but needed more presence. More here. More now. And today I noticed how several kids even forgot to grab their phone, only showing up later in the day to claim it once they realized it was missing. Some of these kids were kids I have had to remind to put their phone away in the past, and here they come several class periods later, glad that their phone is still there waiting but realizing that perhaps it wasn’t that big of a deal anyway. Perhaps not having their phone was not the end of the world. And so we will continue until the very last day. Separated from something that sometimes feels like it contains our entire world. Given a moment to breathe that doesn’t involve notifications, likes, or needing to record every moment of our day. A space to take risks, be present, and focus on each other, with just a small change in our days. I started this experiment worried about the mental health of us all as we become more and more addicted to our phones. But I also worried that it would cause resentment and anger, a sense of distrust in our community, that I was yet another adult who didn’t care about my students. It turns out that my fear was unfounded. That asking students to leave their phones out as they bring their hearts in was a step in the right direction. In the end, it turned out that we really didn’t need them for much anyway, who knew? I told him we did. He told me that he wanted to be a writer. That he had all of these stories to share. To create. But that no one would care, no one would read them anyway. So I did and they did. Teachers and students left comments urging him to write more. To not leave them waiting for the next installment. I approved every comment. And for that moment he saw himself as a writer. As someone worth knowing. Not the child that others found strange, or angry, or unfit to be a friend to. A writer with words that mattered. And so he wrote. And he believed that he, too, mattered. She came to us wearing cat ears. Then a tail. A big jester’s hat. Her laugh was loud but you didn’t it hear it much. After all, no one else seemed to get the jokes. She would go on and on about games she played online. Filling our ears with Minecraft terms that I had no idea about. I saw the eye rolls from other kids. The ones who chose not to be at her table. The ones that whispered. And we spoke about kindness as if the kids hadn’t heard it all before. She asked if she could write whatever she wanted and we told her of course. And so she wrote about Minecraft. The place where she felt like others got her. The place where she felt that she had value. Where others saw her as indispensable and not just as that weird girl. And so she wrote, Minecraft fanfiction, I had trouble following it and yet her passion, her creativity marked her words. And so I shared, the least I could do, and the very next day she had 85 comments from kids around the world telling her to write more. To tell them more. Asking her to be their friend. She would come up to me to tell me about her latest installment. About her newfound fans. She knew that at our school perhaps many wouldn’t see past the hat, the tail, the laugh, but online, she was something. I told her she was something to us as well. At the end of the year, she wrote a speech detailing how friends found online were true friends. How sometimes you needed the online world to make you feel found. That she had found her community in the games she played, in the worlds she created. That she would have never felt as accepted, as valued, as she did online. That technology meant that she was more than what those face-to-face saw her as. We bring in technology thinking it will add the next level skills to our classrooms. That technology will help our teaching come alive, our curriculum have a deeper meaning. That it may “hook” the kids as if they are fish, keep them engaged, get them ready for the future. And yes, those are valid reasons. But the true power in technology is not just the readiness. The skills. The playing around with tools to create something impossible. It is the power to be seen. To feel that in the world, someone values you. That someone out there gets you. Our oldest daughter cemented her best friendship through Minecraft. They play together, side by side, and it drew them tighter together as Thea faced the bullies at her school. When I think of technology, I don’t just see it as a tool. I see it as a way for kids to be seen. For kids to be found. For kids to not be alone. And for adults too. Someone out there values us. Someone out there, who wonders whether they have worth, is waiting for all of us. Technology means we don’t have to be alone anymore. I fell in love with Periscope, the free live-streaming app created by Twitter, this summer while at ISTE. Free, instant access to events happening around the world – finally! The myriad of ways I could see implementing it in my classroom overwhelmed me in a good way. Kids could periscope our class at any time to bring the world in. Students could interact with other students around the world. Students could have a real-time audience at any time we needed. We could explore every day moments in cultures around the world. On and on, the ideas went. Yet, when I thought about it some more, I started to second-guess my love for it a little bit. I didn’t fall out of love, but I did start to question my own ideas, as well as the professional responsibility that I carry not just as a teacher, but also as an active conference goer/speaker. So what has made me slow down? The need for privacy. Student privacy and protecting it is at the forefront of my mind as a teacher who shares the work of their students. Some of my students cannot be shown on the internet for a variety of reasons and that is something I respect. What if that child walks by in the background? What if their voice is heard? What if students start filming from our classroom and do not know who can or cannot be shown on the internet? This by itself is enough to stop me from using Periscope in the classroom, but there is more. The need for respect. When I videotape something I have editing abilities. That means that anything silly, stupid, weird, or somehow embarrassing does not have to be seen by anyone but us. The “live” part of the live-streaming means there is no delay, no editing, no take back. What if a child says something mortifying, screws up, fails in some way and the whole world potentially sees it? One thing is failing in front of your peers and embracing it, another thing is failing in front of strangers. The need for attention. My first job is to teach the students in front of me. Not the world, not the parents, not other colleagues. So whenever a tool is brought into the classroom, I have to make sure it is not creating a barrier between me and students. Being focused on live-streaming something means that I am not working with students but instead acting as a cameraman. Even if I am live-streaming something that I am taking part in, I am still not giving them 100% of my attention because that would be multi-tasking, which we know decreases our focus. The need for intimacy. Some of the biggest moments that have happened in our classroom has been when students have let their guards down and trusted us all inherently. When the door was closed and just we were present. That intimacy is gone the minute I start videotaping anything. So often we end up capturing the not quite as great moments because that is all we can get. The need for purpose. If live-streaming something will add value to the purpose of what we are doing than I will consider doing it, but if it really only boosts me as someone who shares, or in some other way becomes more about me than my students then I am not for it. I worry that some will use Periscope to boost their own popularity and lose sight of why we are all doing this; for the kids. The need for permission from parents. 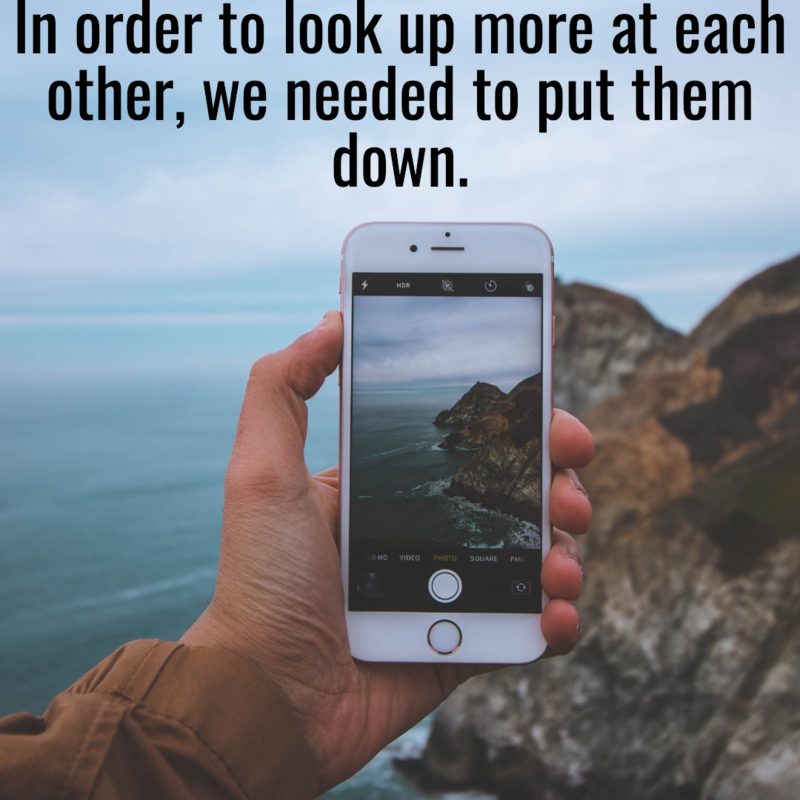 While most districts have technology policies and permission slips in place that include sharing the work, name, and image of students, Periscope, I feel, is a new level of sharing. So as a parent I would very much like the right to know about its use, the purpose of it, and also have the right to think about it. When we don’t ask, we take that right away from parents. The need for permission from speakers. I had a wonderful discussion on Twitter on what the protocol is for periscoping professional development/keynotes and such. It seems there is none, but there probably should be. After all, if a conference has spent a lot of money bringing a speaker in and I have registered for it that does not mean we get to share that conference with the world. What we paid for is our own experience. So bottom line is to ask before you periscope and respect if someone says no. So what Periscope might be great for? Professional development where you interview other great thinkers or interact in some way and make it about the sharing of thought. Students sharing knowledge in a pre-determined way. It would be a great idea to have students run a small talk or demonstration purposefully sharing their knowledge with the world. Showcasing environment or other non-student immersed ideas. I love the idea of being able to send someone a live stream showcasing my classroom set up, library organization or something like that. Again, purpose, control, and meaningfulness is at the forefront of my thinking here. So while there are definite great uses to Periscope, I am hesitant to bring it into my classroom when the students are there. Perhaps I am too scared? Perhaps I don’t know enough? I would love to get your opinion on this. The power of Skype never ceases to amaze me and I have loved doing Mystery Skypes for many years now. So as I started to plan for back to school I knew I wanted to participate once more in as many Mystery Skypes as possible, but I also wanted to try a different approach; the mystery Vox. 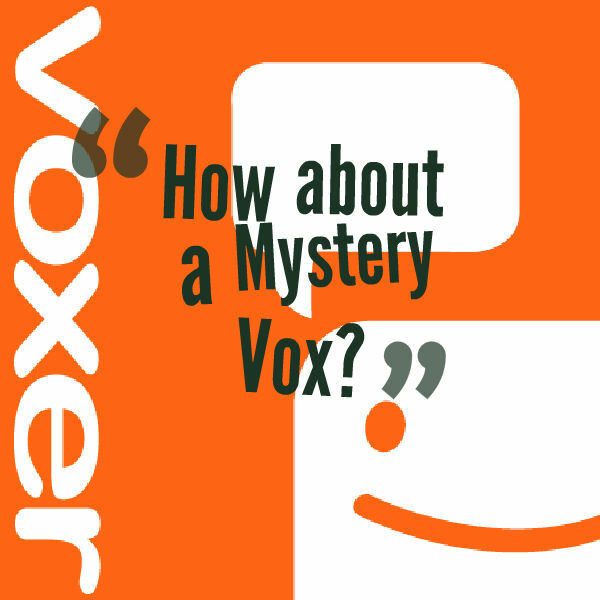 What is Voxer? It is a free walkie-talkie app that allows you to leave messages asynchronously or even a 15 second video if you would like to other users around the world. For more information or to download it, go here. What is a Mystery Vox? Using the power of Voxer, students would take turn leaving clues throughout the day, checking in when they could in order to try to guess the geographical location of the other classroom. The questions still have to be in a yes or no format and students may still not google each other. Why do this rather than Skype? For me it allows multiple classes to collaborate throughout the day trying to piece together where a class is. It also works around the timezone issues that can limit where we do a Mystery Skype with. Students will not have designated roles like they do in a Mystery Skype; anyone can guess, anyone can ask a question. I also love that students can digest the clues before they ask the next question. However, I still plan on doing lots of Mystery Skypes too! How will this work? Sign up below on the form and then go to the form responses to find a match. Reach out and set up the day or week you would like to do this in. To see the form responses and find someone, go here. What will this look like in my classroom? I will have a running list of clues and answers on the board, as well as questions asked. I will probably have students do this for me. I may even put it in a Google doc. I will alert kids to it throughout the day and ask them to come up with a question and an answer. I will use my own voxer account as I do not feel like setting up another one, right now anyway, and my students will be the ones leaving the messages. We will try to have it guessed within a day. I think that is really it.